GM-back Lyft sponsored a coalition called Ridesharing Now for B.C., which lobbied the government for changes. VICTORIA — Ride-hailing is on its way to British Columbia after the online transportation services received the unanimous support of an all-party committee of the legislature on Thursday. The committee made 32 recommendations to help pave the way for introducing and regulating ride-hailing. Committee chairwoman Bowinn Ma of the NDP said the recommendations balance the importance of developing regulations that encompass fairness, consumer protection and worker rights in a constantly changing economy. She steered away from commenting about the timing of bringing in ride-hailing services, saying that was a question for Transportation Minister Claire Trevena. "What I will say is that the ride-hailing ... report is not the be-all, end-all of a regulatory regime for B.C.," Ma said. Trevena said she is reviewing the report and was not prepared to comment on Thursday. She has said the NDP government will introduce ride-hailing legislation this fall. The report highlights five key areas that need to be considered when establishing regulations for the industry including pricing, insurance, licensing, and public safety. The government should also consider the impact the introduction of ride-hailing companies will have on B.C. communities, it says. As well, the committee recommended updating legislation that regulates the taxi industry to "allow for equitable and fair competition." "Protecting specific types of business for the traditional taxi industry, such as street-hailing and taxi stands, should also be considered," the report says. The B.C. Taxi Association did not immediately respond to a request for comment. Deputy chairwoman Stephanie Cadieux of the Opposition Liberals said the report's recommendations provide the foundation for the government to bring in ride-hailing by this year. "We've now provided them with a unanimous report that outlines how to get it done," Cadieux said. "It's now incumbent upon the NDP to introduce the legislation." Green party Leader Andrew Weaver also called on the government to move to implement ride-hailing this year. "We were unanimous in our support for these 32 recommendations and unanimous in our desire to see transport network companies operating in B.C. in a very timely fashion," he said. "There's no reason why it can't happen this year." The report comes ahead of a government review due later this year from transportation industry expert Dan Hara, who was asked to provide recommendations for the creation of a ride-hailing service. 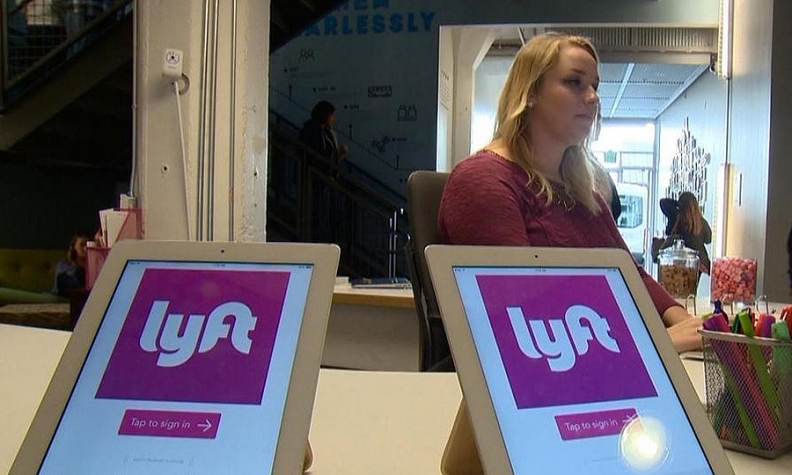 The committee held public hearings and invited testimony from 67 expert witnesses, including representatives from ride-hailing companies Uber and Lyft. The committee says the Insurance Bureau of British Columbia should create insurance products for ride-hailing and prescribe minimum insurance levels "that reflect the risks associated with using a vehicle for mixed personal and commercial purposes." It makes recommendations on license requirements for drivers including medical exams and criminal record checks. The committee also wants vehicles used for ride-hailing to undergo mandatory inspections based on their mileage. A coalition of organizations that supports ride-hailing issued a statement backing the report. "It's great to see all parties supporting ride-sharing options that would provide choice for passengers," said Ian Tostenson of Ridesharing Now for B.C. "We are encouraged by today's report and look forward to the NDP government moving forward on this file in 2018." The coalition is sponsored by Lyft and Uber and includes the Vancouver Board of Trade, B.C. Business Council, Vancouver Economic Commission, B.C. Chamber of Commerce, Urban Development Institute, Canadian National Institute for the Blind, Finger Food Studios and the B.C. Restaurant and Foodservices Association. In a statement, Uber Canada spokeswoman Susie Heath said the report shows people in the province "overwhelmingly want action on ride sharing in 2018." "A competitive ride-sharing industry has been shown to provide more affordability for riders and drivers alike."